Step 1: At product page, press &apos;Add to Cart&apos; for the product you would like to purchase. 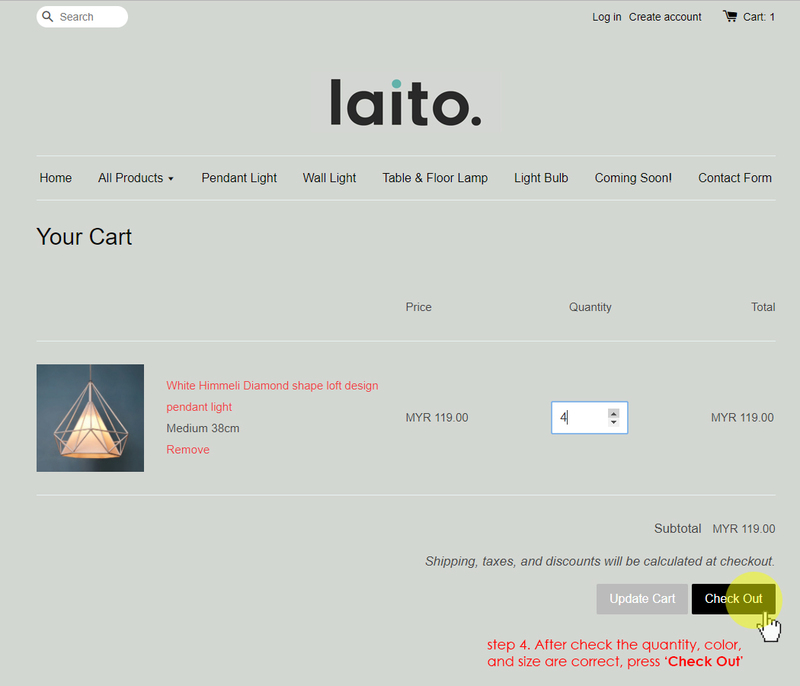 Step 2: Click &apos;Cart&apos; at right above to checkout. 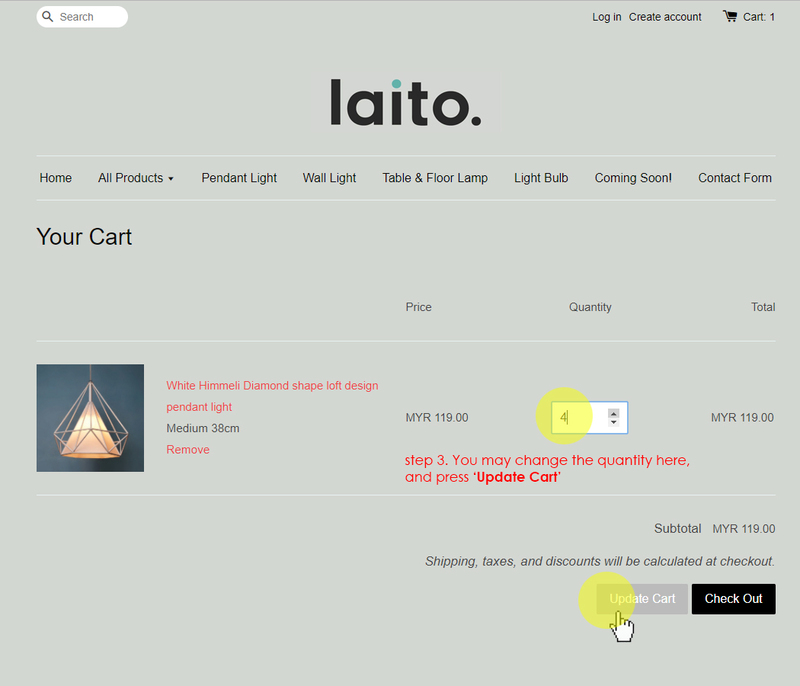 Step 3: You may change the quantity at the white box and press &apos;Update Cart&apos;. Step 4: After check the quantity, color, and size are correct, press &apos;Check Out&apos;. 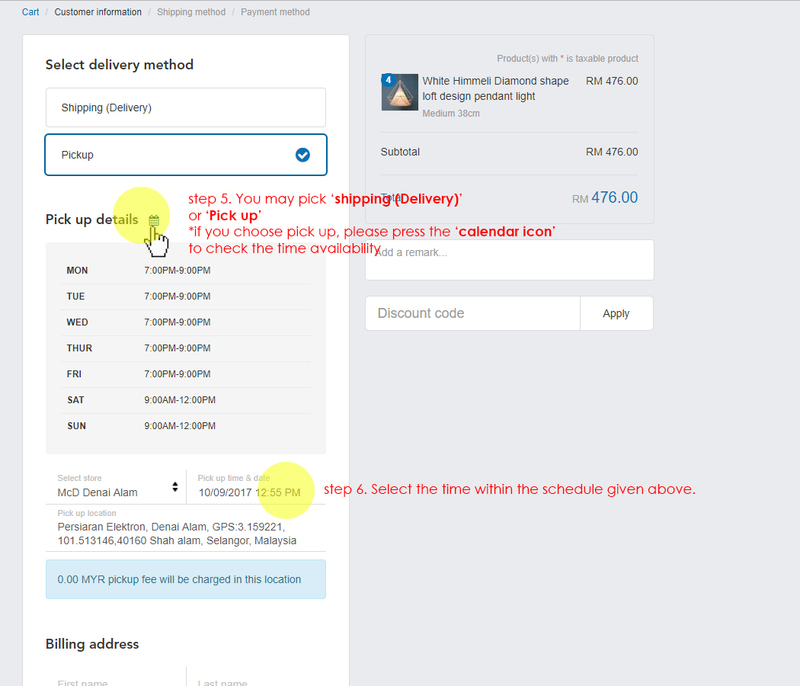 *if you choose pick up, please press the &apos;calendar icon&apos; to check the time availability. *Please fill up full and detail address to avoid delay of delivery. 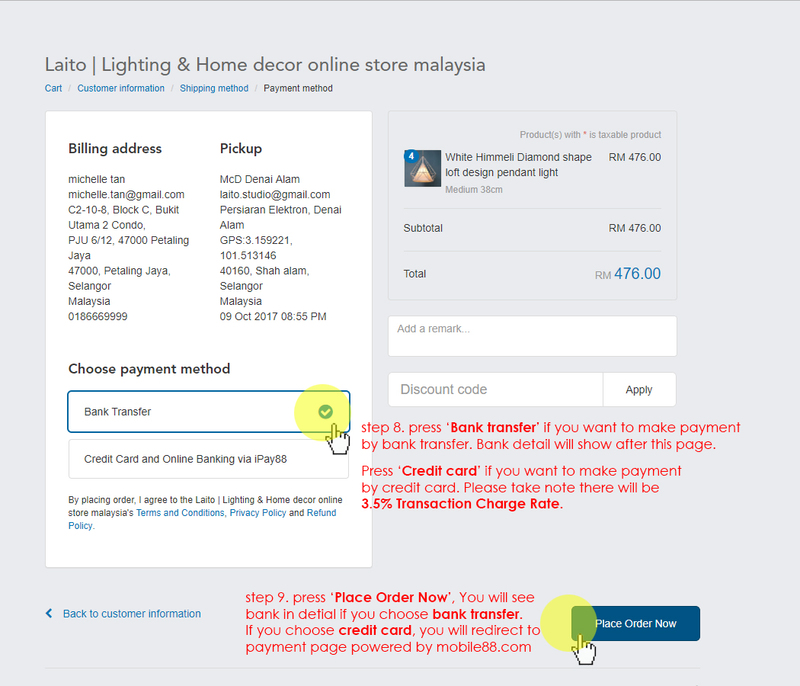 Step 8: press &apos;Bank transfer&apos; if you want to make payment by bank transfer. Bank detail will shown after this page. Please email bank in slip to laito.studio@gmail.com after payment done. 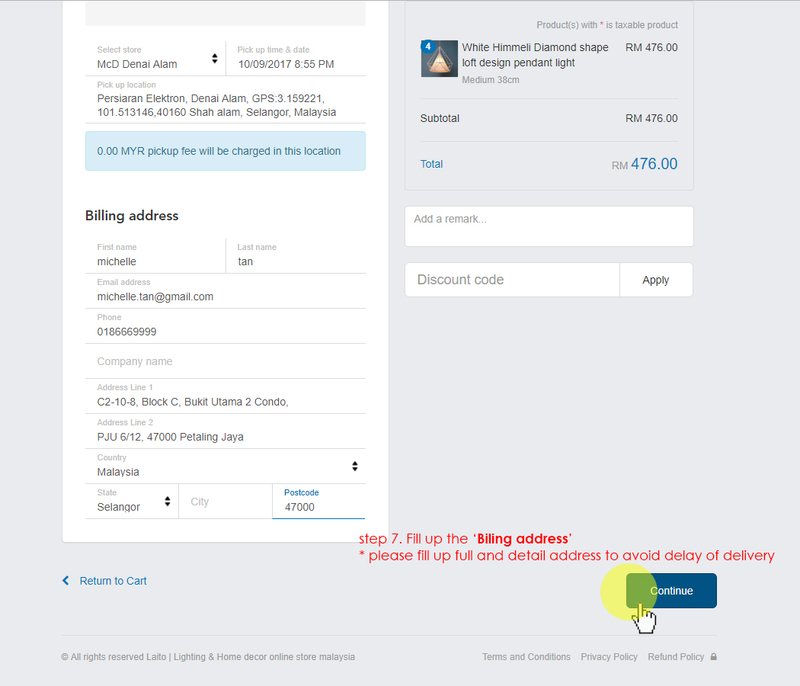 Press &apos;Credit card&apos; if you want to make payment by credit card. Please take note there will be 3.5%Transaction Charge Rate. Step 9: Press &apos;Place Order Now&apos;. You will see bank detail if you choose bank transfer. 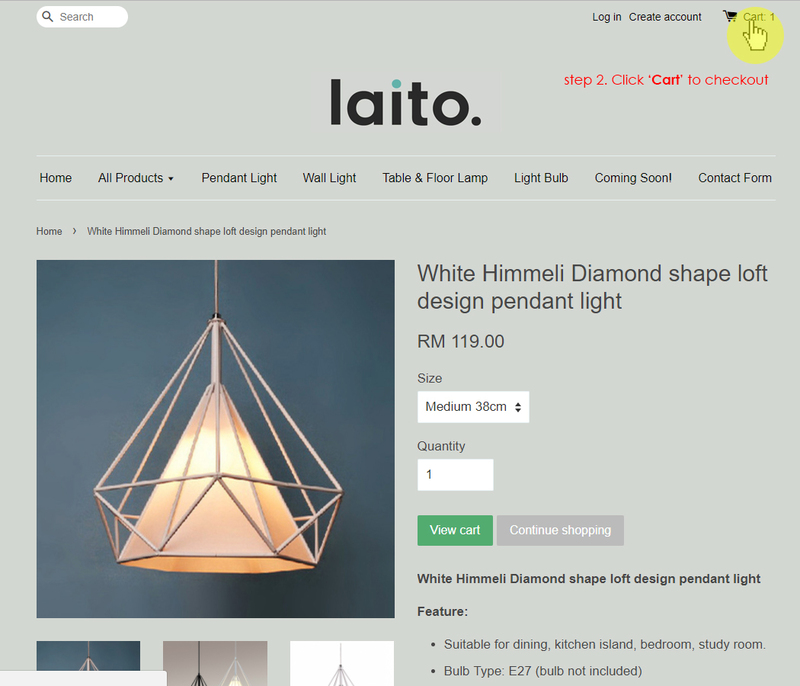 Please email bank in slip to laito.studio@gmail.com after payment done.